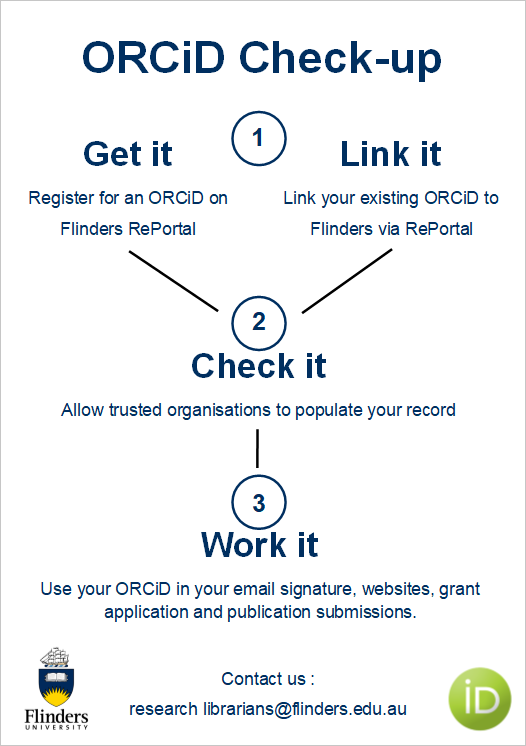 ORCID® (Open Researcher and Contributor ID) provides a persistent digital identifier to researchers. This identifier is used to link a researcher to their research outputs and activities. Connects you to your research activities throughout your research career. Is increasing required in publication workflow by publishers such as Springer Nature, IEEE and Wiley. A list of publishers who require ORCiDs can be found here. Is encouraged or required by many funding bodies such as the ARC or NHMRC.